This article first appeared in Personal Wealth, The Edge Malaysia Weekly, on March 26, 2018 - April 01, 2018. 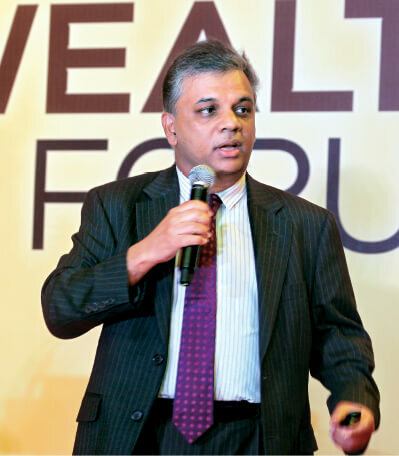 European and Japanese equities are looking attractive as their economies are recovering and their currencies are expected to appreciate against the US dollar going forward, said Jai Tiwari at the The Edge-Citigold Wealth Forum 2018. “Navigating a Maturing Bull Market”. As central banks continue to tighten monetary policy, the euro and yen will continue to outperform the greenback this year, said Tiwari. He adds that investors are already putting money into the European equity markets on the back of the improving economies and strengthening currencies. “Investors are willing to take this bet. There are going to be more investment opportunities in the European equity markets in the second half of this year as growth continues to pick up in the region,” he said. Tiwari said a weakening US dollar against the other major currencies this year will bode well for emerging market equities and commodities. In general, when the US Dollar Index goes down, the MSCI Emerging Markets commodity-related indices go up. “A weaker US dollar is typically good for emerging market stocks and commodities,” he added. Although the US dollar is expected to weaken on the back of synchronised global growth and investors are allocating money to riskier assets, all this is based on the premise that the US economy remains healthy and robust. “The US economy is a key support to global equity prices,” said Tiwari. The risk in the US economy is that investors are worried about its tightening labour market and rising inflation rate. If workers’ salaries surge unexpectedly, the US Federal Reserve will have to hike rates more drastically. This could derail the country’s economic growth and the impact will be felt across the globe. On top of this, a weakening US dollar could push the inflation rate higher at a faster pace. However, there are still no numbers to show that the tightening US labour market has translated into much higher wage growth, said Tiwari. Tiwari said the US economy is expected to continue growing this year in tandem with the global economy. This view is reflected by the performances of cyclical equities such as commodity stocks and defensive equities such as utility stocks in the US markets. According to Tiwari, only 3.5 of the 18 indicators on Citi’s Bear Market Checklist — which provides early warning signs to investors before a sustained market sell-off — had turned red as at Feb 18. The indicators were stretched equity valuations, frothy investor sentiment, a flat yield curve and rising corporate debt. “The rest of the factors were quite contained,” he said. However, equity and bond markets are expected to be more volatile going forward as market players adjust to an environment of higher inflation and tightening monetary policy, said Tiwari. On market risks for the equity markets, Tiwari said a sudden surge in the US inflation rate is still a risk Citi is looking at, although such a scenario is less likely to happen. Signs that this will happen include a further flattening of the US Treasury yield curve, he added. obviously, will be negative for the equity markets,” said Tiwari. He added that the US Treasury yield curve is an important indicator to monitor. Investors should also keep an eye on the yield spread between US Treasury and corporate bonds. What if the US inflation rate surges and catches market players by surprise? “Under such a scenario, you will see commodity prices go up while everything else goes down. But that is not our base case scenario,” said Tiwari. Another key risk is a trade war between the US and China following US President Donald Trump’s implementation of tariffs on products such as solar panels, washing machines, steel and aluminium. This has created some tension between the two countries. evidence of this happening. The products and countries that the US has targeted are very specific and China’s response has been fairly muted,” said Tiwari.